This is the best book I have read in a long time. I was completely in love with this story, the way it was written, all the characters etc. I started reading this on a Wednesday night.. I read until my eyes wouldn't stay open anymore, and then I set my alarm clock for 4:45 AM so I could finish it before work. I was addicted. 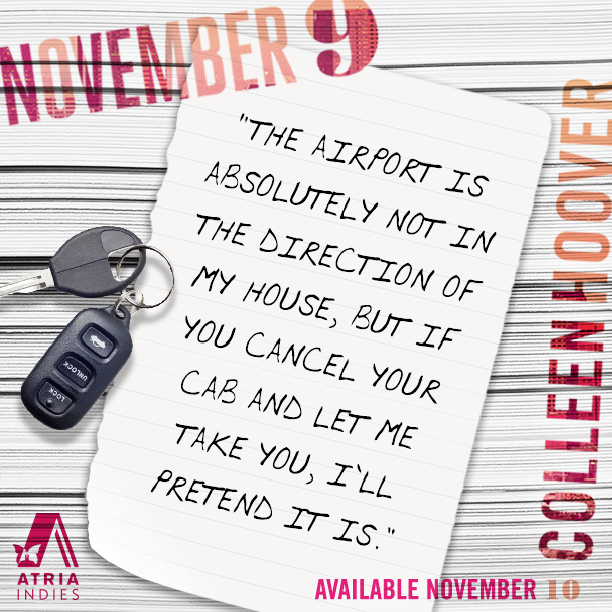 I love all of Colleen Hoover's books but this one was my favorite (I say that every time) :) I cried, I laughed, I fell in love and I got super angry and then I fell in love again. The twist.... Oh man, I did not see it coming. I was blown away. This is by far the best book I've read this year. I will and have been recommending to everyone! 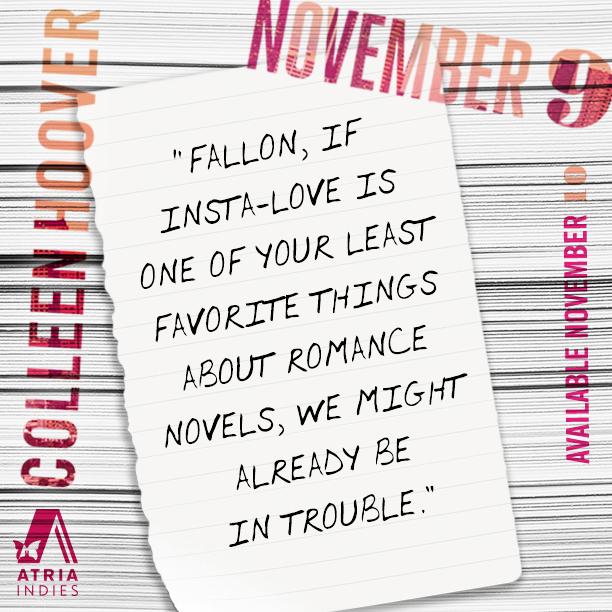 As long as Colleen Hoover keeps writing, I sense a TON of sleepless nights and early alarm clock setting in my future! This review was prepared by Jeanine McDonald. An ARC was received in exchange for an honest review.